Grooming your furry friend is a great way to develop the human-animal bond and is also important for a variety of health reasons. Regular brushing, checking ears and eyes as well as handling your pets feet from an early age is a great way to help your pet feel relaxed and comfortable when being groomed. We recommend checking your pets coat, paws and ears daily (particularly in Spring and Summer) for grass seeds as these little guys like to burrow in deep and can be difficult to remove once embedded in. If this becomes an ongoing issue certain grooming clips can help. - A variety of professional grooming products including premium shampoos and conditioners, coat 'perfumes', brushes and more. 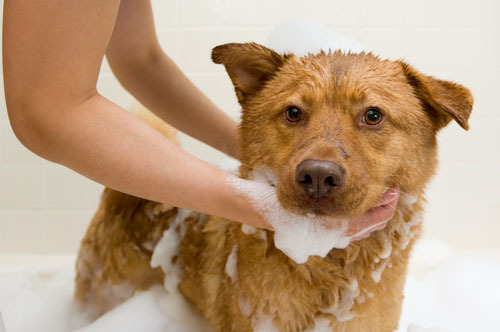 Drop in or call us on (02) 6964 1999 for more information or to schedule your pet in for grooming.